The Elaine Slouch is a loose, button-tab hat with an airy, open-stitch design. The pattern includes instructions for toddler/child and teen/adult sizes. It will even fit adults with XL heads! The pattern also provides color photographs & illustrations to help complete your hat. You will need 100-150 yards of WW yarn, one button, I and K crochet hooks to complete this project. 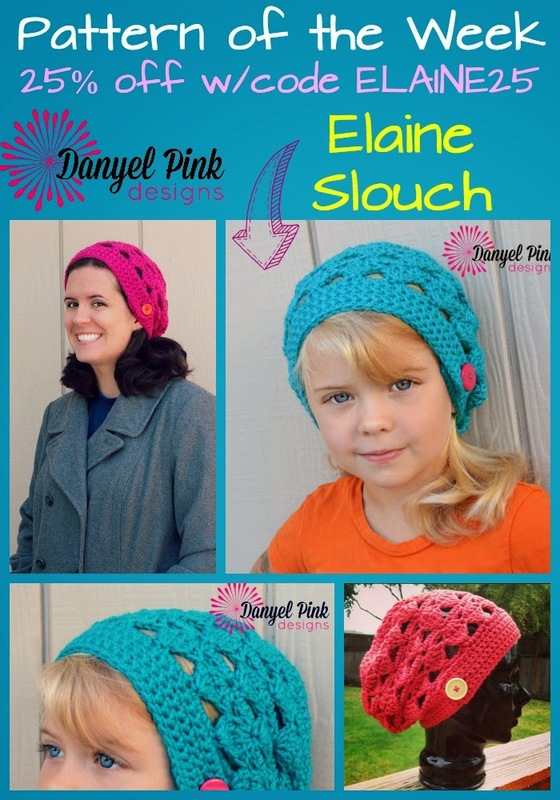 Snag your copy of the Elaine Slouch crochet pattern for 25% off with coupon code ELAINE25 through Friday night.